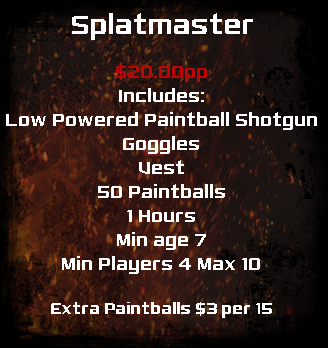 Announcing the End of Paintball as You Know It! 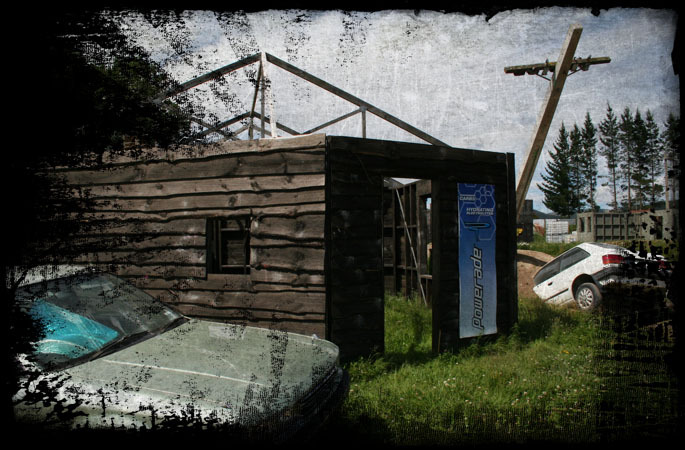 Our Experience in paintball runs for 10 years owing Paintball Appleby nelsons original paintball field. Our experiences don’t stop there Kenny Stockdale owner/operator has worked on Australian fields for the last 2 years also competeting in pro competitions in Australia and worldwide including world cups in Asia , super 7s and being picked for the state of origin 2x representing Queensland. Combine this with Wayne and Heather love of paintball this creates the ultimate combination for a whole new dimension for paintball in Nelson . Get ready for total immersion, the ultimate hire gear, top of the line tournament grade paintballs, a bar, onsite drinks, a large comfortable staging area for safety briefings and even... get this...indoor plumbing! Open year round, just outside Nelson. 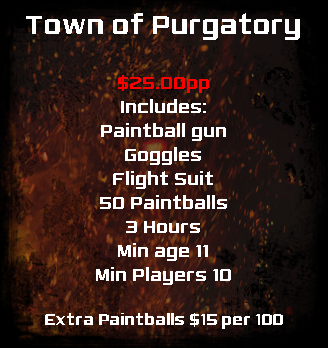 ARMAGEDDON Paintball has created the ultimate experience in Paintball excitement...semi-automatic mayhem...from the games you play, to the field you play on, the town of Purgatory, an apocalyptic town's ruins of dozens of burned out buildings, cars, street lights creating the eeriest of landscapes. The Field - 8 Months in the making! 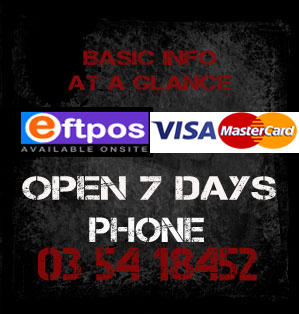 The Team has made every effort to offer you the best paintball in New Zealand our custom built theme town has taken over 9 months to build. The Finer details of the field gives you the ultimate experience with a custom built town and purpose built buildings with every thing from real street lights, toxic safety signs to plaster made skulls to make you game the ultimate visual experience and realism in a nuclear distroyed town. Safety is our primary concern, Our experienced staff give a full safety briefing before every game and we offer the best of the best gear around for maximum safety along with our custom built themed safety signs for added safety on and off the field! ARMAGEDDON Paintball uses High Quality Tournament grade paintballs for every player. ARMAGEDDON Paintball offer all its players Military Spec flighsuits for each team in different colours so no arm bands or bright colour helmets to set your team apart.